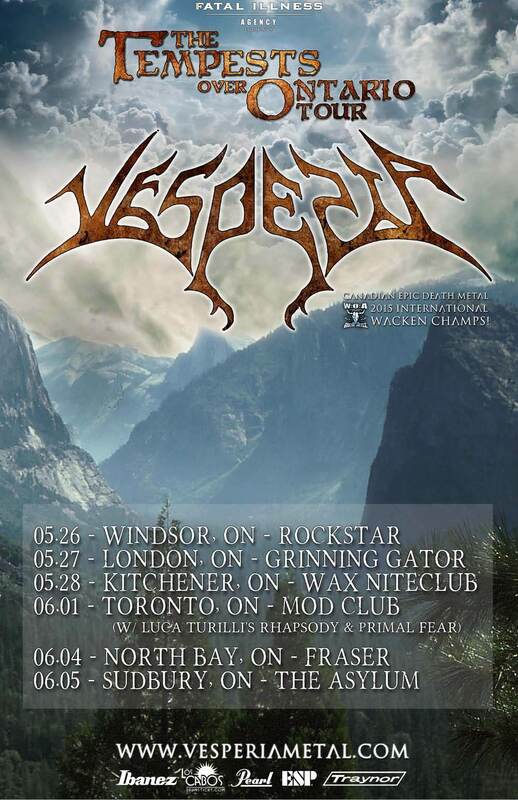 Recently wrapping up their cross Canada tour with Finnish metal masters KALMAH during the month of April, VESPERIA are proud to announce they will be back on the road for dates in Ontario during the months of May and June for ‘The Tempests Over Ontario Tour’. The tour will also includeVESPERIA headlining the Kitchener Metalfest on May 28th plus being local support for the June 1st tour stop of Luca Turilli’s Rhapsody and Primal Fear at the Virgin Mobile Mod Club in Toronto, ON. “After touring from coast to coast with Finland’s Kalmah, we have decided to do a short run of shows in our home province! All these towns have a significant history for the band and how we got our start. We also cant wait to share the stage with Luca Turilli’s Rhapsody and Primal Fear during their Toronto stop!” comments vocalist / bassist Morgan Rider. After tour, VESPERIA will also be completing the recording of their new album to follow to 2015’s ‘The Iron Tempests’ EP. The album is being recorded at Blue Sound & Music Studios in Toronto, Canada with engineer/ producer Russ Mackay (Mastodon, Iron Maiden, Styx) and will feature an array of famous Canadian guest musicians with the art created by Juno award-winning artist Hugh Syme (Rush, Nevermore, Dream Theater). The cloudy beginnings of VESPERIA lay etched in the gorged bodies of former musical projects among the now four-member band. 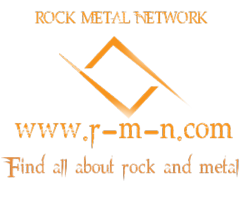 Twisting, writhing and forcing their aural onslaught upon metal audiences across the globe have sincerely ensured the band’s continuity through all the harsh and arduous battles modern metal bands are bound to encounter in their tenures. 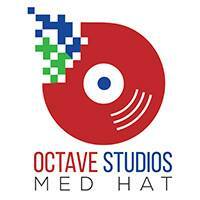 Next → Next post: Tickets On Sale Now! Calgary Metalfest w/ ANNIHILATOR, EXCITER (original line-up), RAZOR, SACRIFICE And More!